The Microsoft Store added another $200 to the budget-level Surface Book in order to offer a dGPU option across the entire line. Microsoft just can’t stop adding new models to its Surface Book lineup. A few days after a $3,200 Surface Book with a 1TB hard drive and discrete Nvidia GPU (dGPU) appeared on the Microsoft Store, the company is adding another new dGPU-packing Surface, this time on the low end. If you visit the Microsoft Store today, you’ll see a 128GB Surface Book available for pre-order rocking a Core i5 processor, 8GB RAM, and a mystery dGPU for $1,700, as first spotted by Windows Central. That’s one step-up from the Surface Book’s lowest-priced configuration that has the same specs minus the Nvidia GPU for $1,500. The new addition means there’s a discrete GPU option for all Surface Book configurations. You can’t say the same for non-dGPU options, which aren’t available in the more expensive configurations that come with a Core i7 processor. Microsoft is rounding out its Surface Book lineup just as reviews for the laptop are being published online. 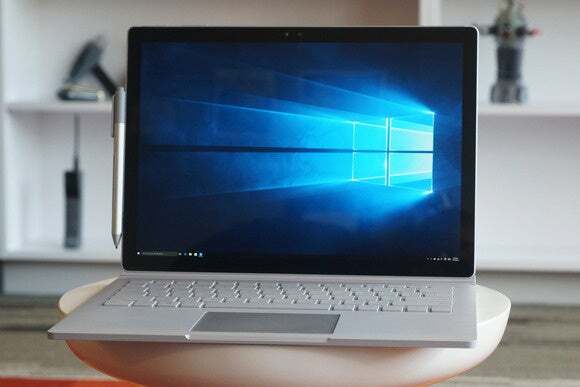 As we cover in depth in PCWorld's official review, Microsoft's Surface Book is nothing short of a glorious reimagining of the laptop—a point of view that is sure to upset Microsoft’s PC maker partners even more. These companies reportedly aren’t pleased to see Microsoft advance into new territory yet again after Microsoft debuted the Surface tablet three years ago. The impact on you at home: If you were hoping for a dGPU-enabled Surface Book but couldn’t see yourself spending $1,900 to get it, well, it's time to take a second look. The budget dGPU Surface Book is expected to start shipping on October 26, which is much better than the 1TB option, which won’t ship until late January.